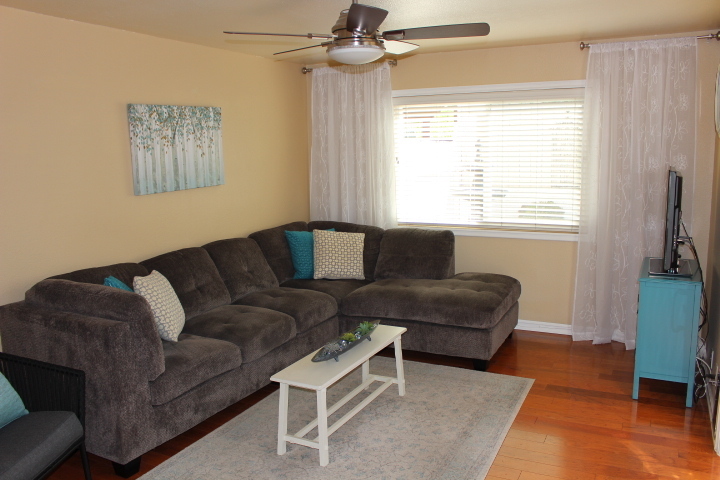 Cottonwood Meadows in Rancho San Diego. 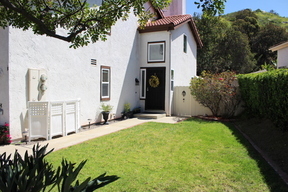 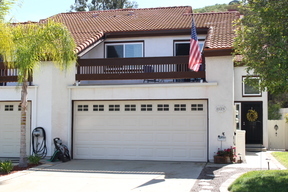 3Br, 2.5Ba, 1294 Sqft attached Patio Home. 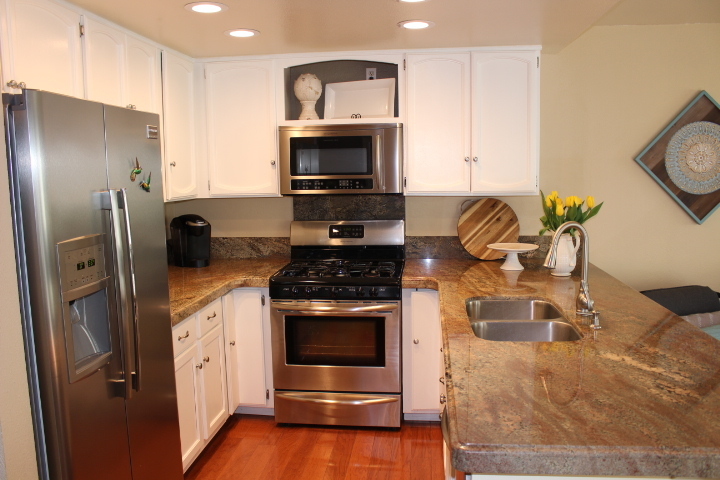 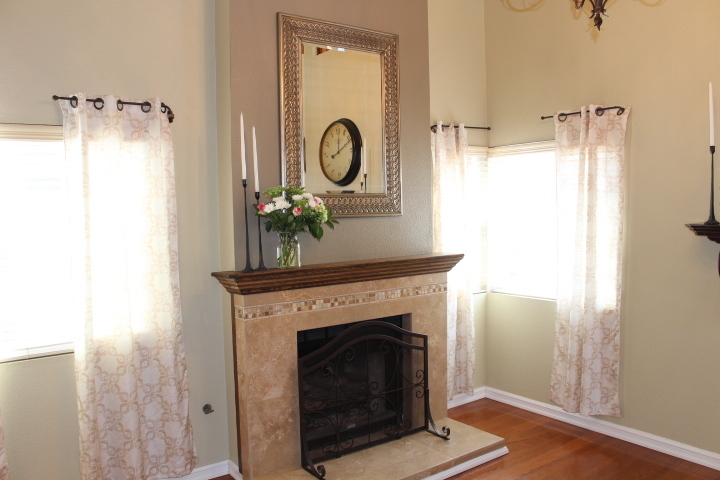 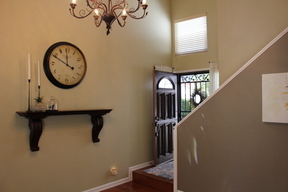 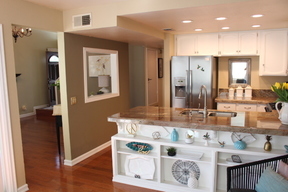 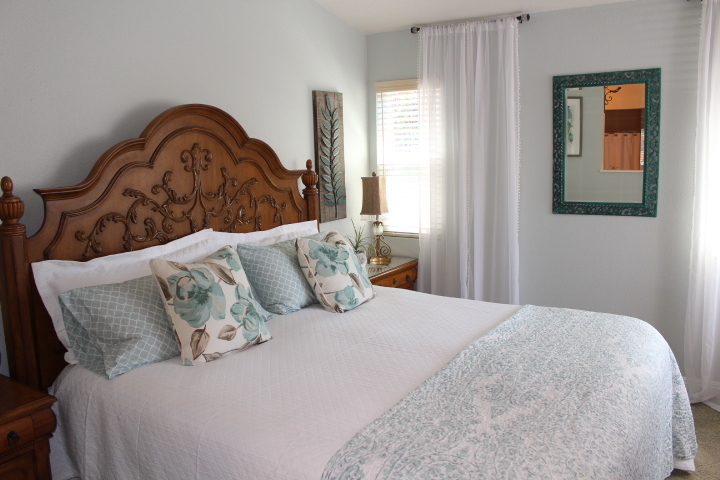 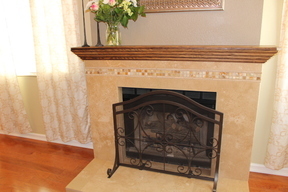 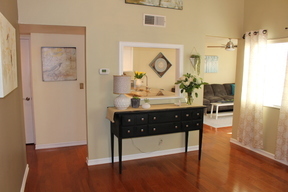 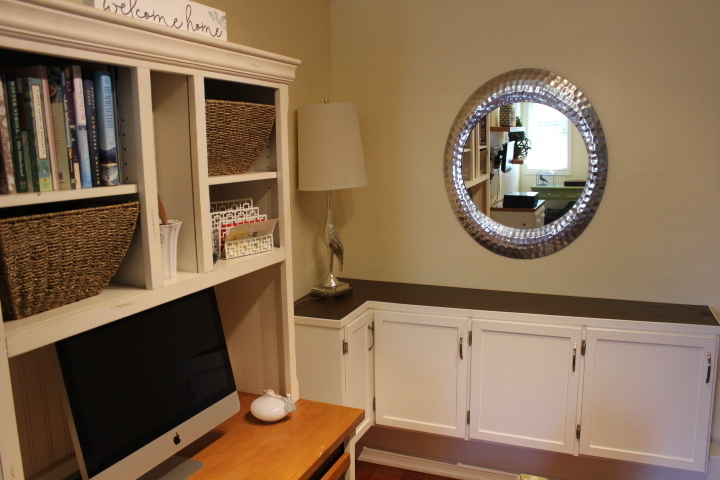 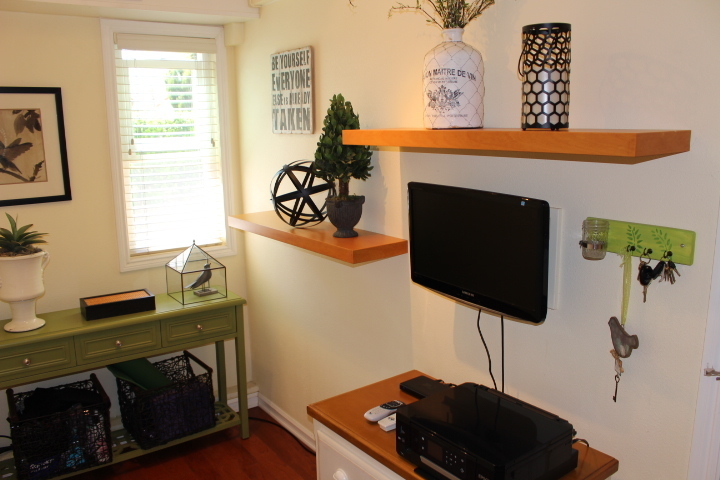 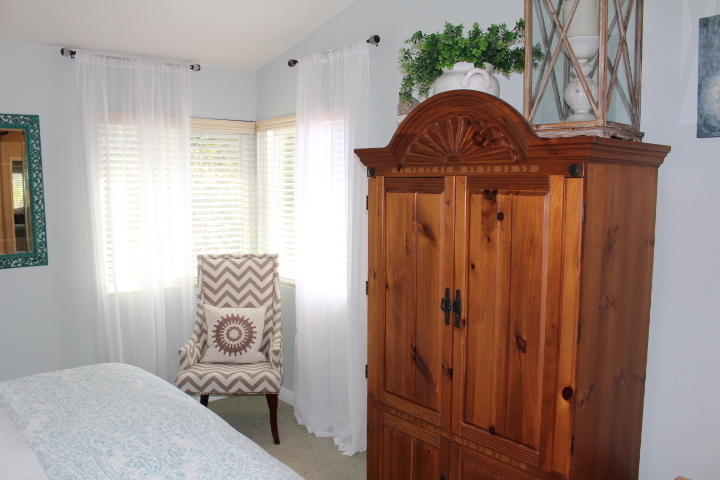 Beautifully remodeled throughout. 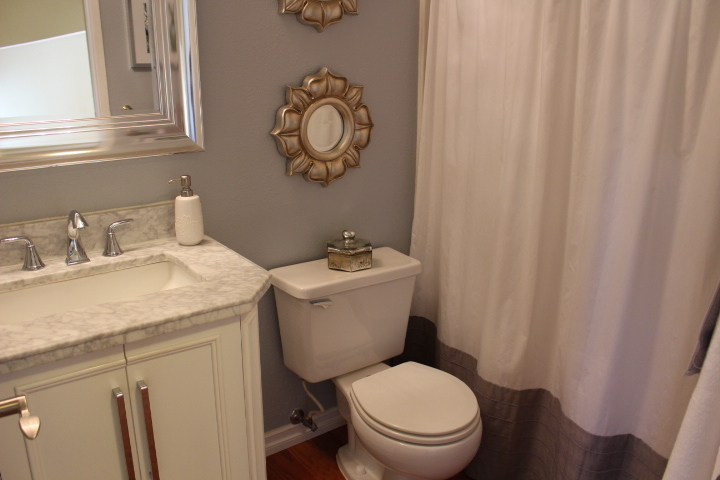 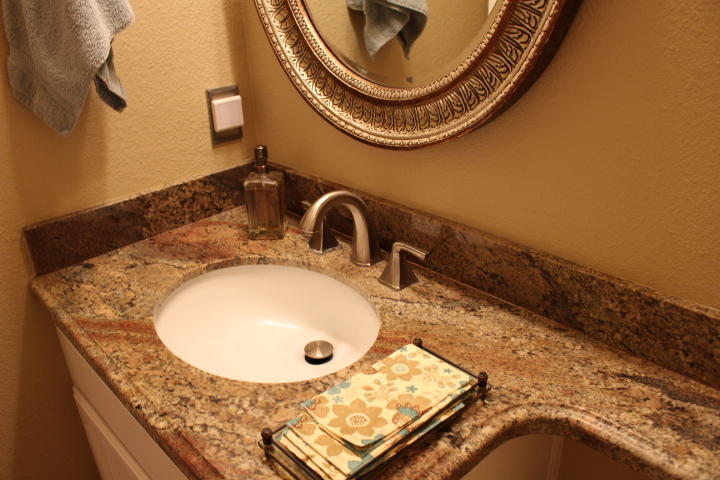 Shows like a model home with remodeled kitchen with custom granite counters, stainless appliances, has beautiful wood floors, custom painted interior, remodeled bathrooms and a bonus room for laundry and office. 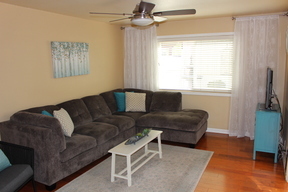 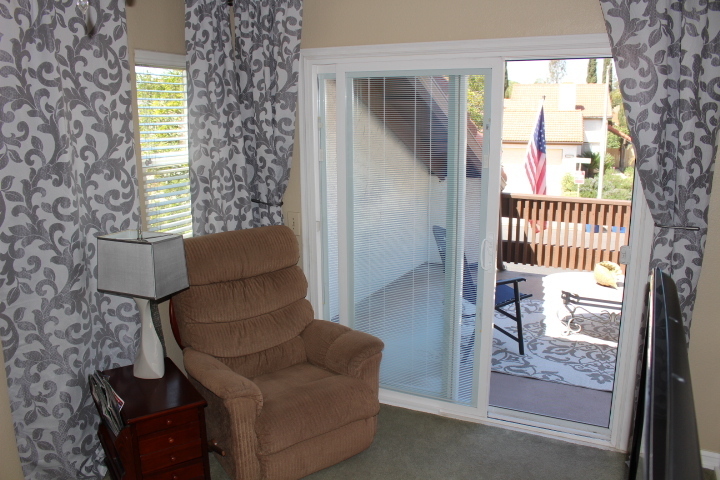 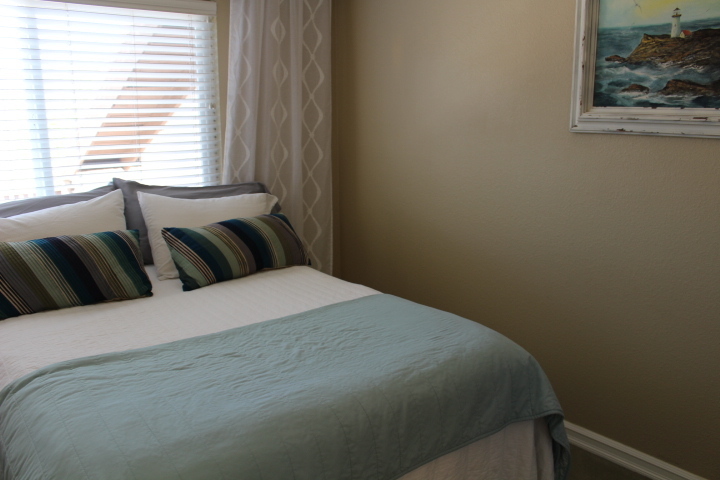 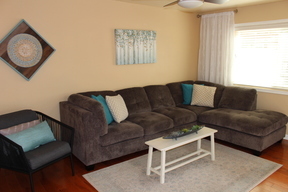 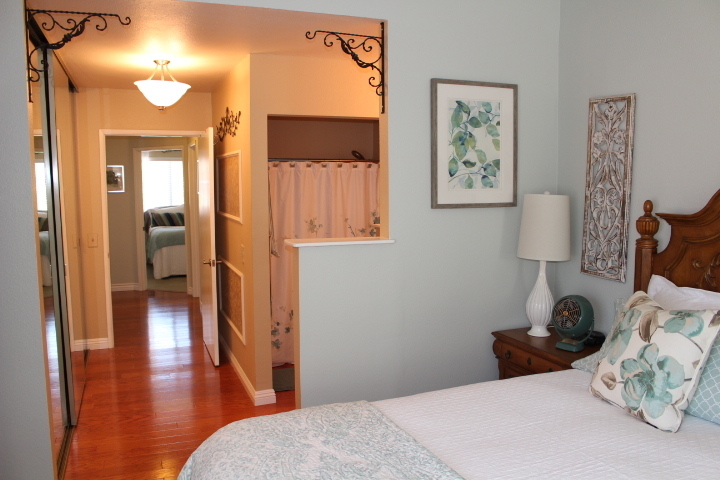 Has spacious master, custom ceiling fans, new vinyl dual pane Pella windows and sliders, custom blinds and built ins. 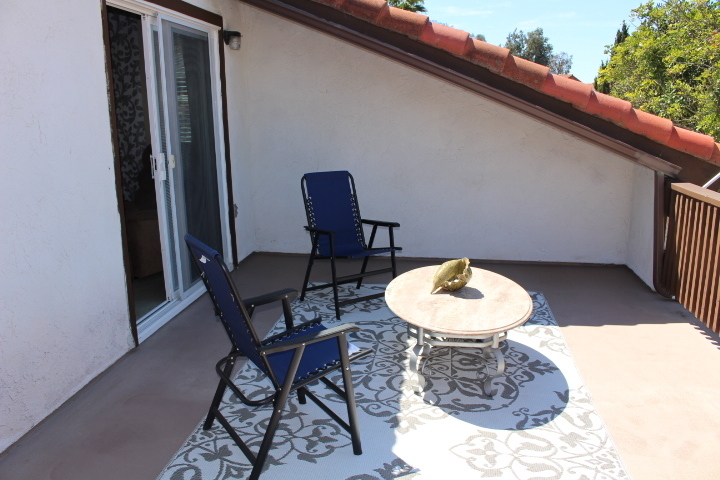 Has new underlayment under tile roof, walk out balcony deck upstairs with new Polycoat surface. 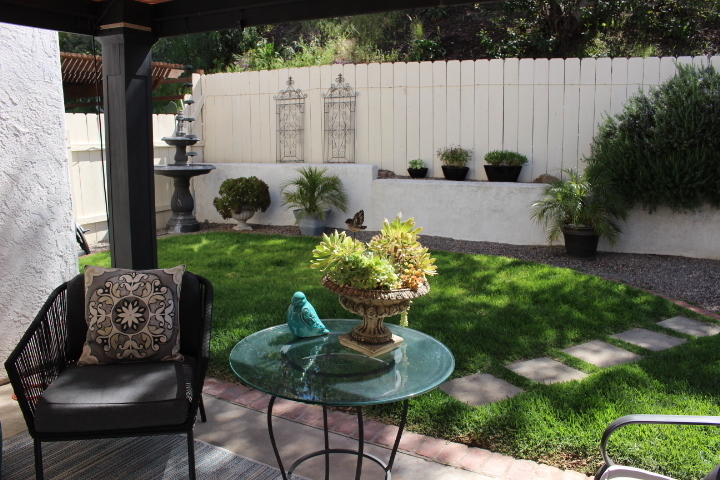 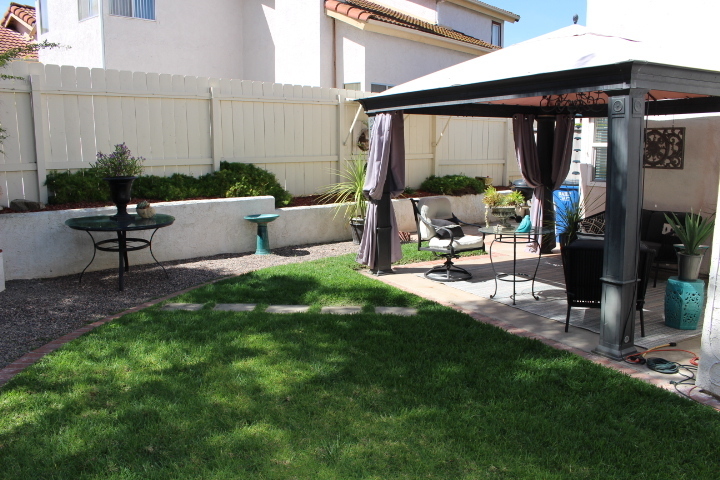 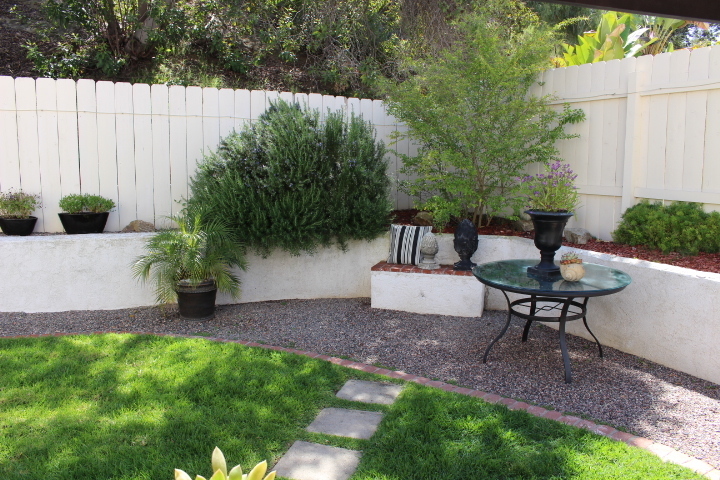 Beautiful back yard patio area with covered gazebo and model home landscaping. 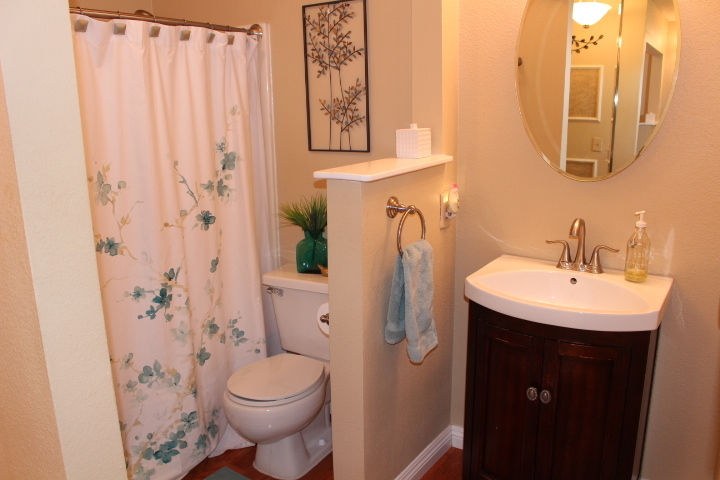 Has low HOA Fees, close to shopping and walking distance to schools and Community Park.